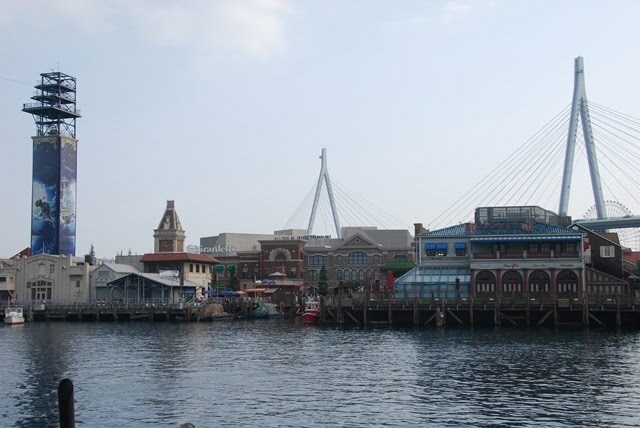 From Osaka Aquarium Kaiyukan I rode a train at the Osakako station going to Betencho station (JPY230), transferring trains to JR line that took me to Nishi-kujo (JPY160). 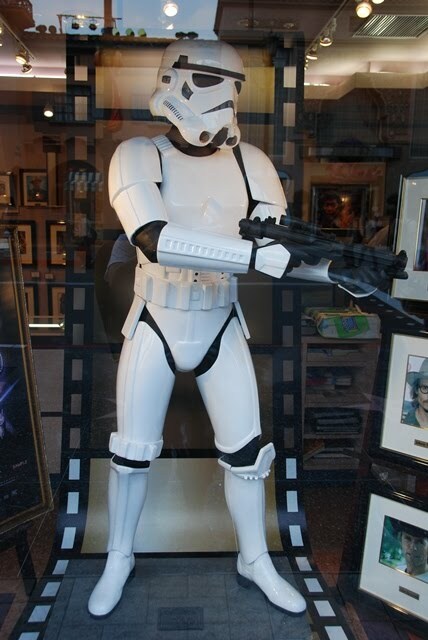 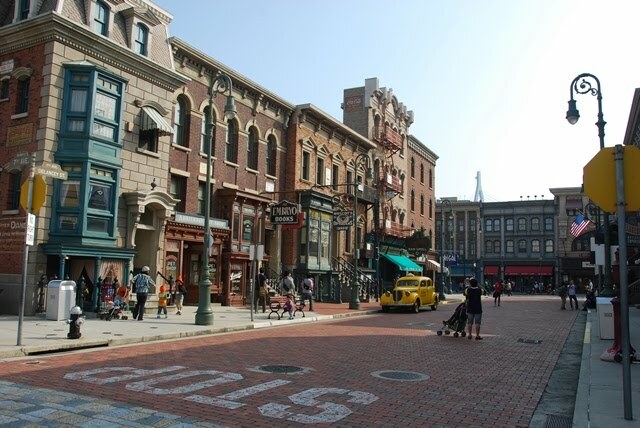 I've been to Universal Studios Hollywood early last year and I had to think twice before coming here. 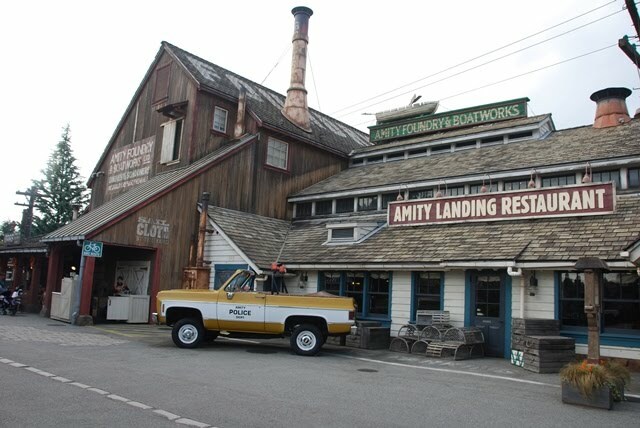 A lot of locals are recommending this as a must so after a few research over the internet and banking on the thought that there are unique experiences in this theme park, I decided that I should give this a try. 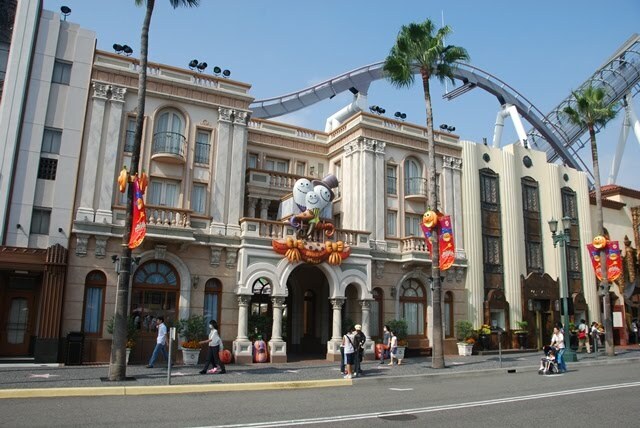 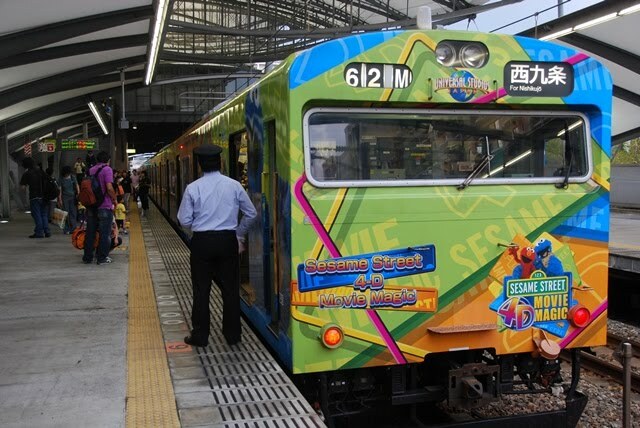 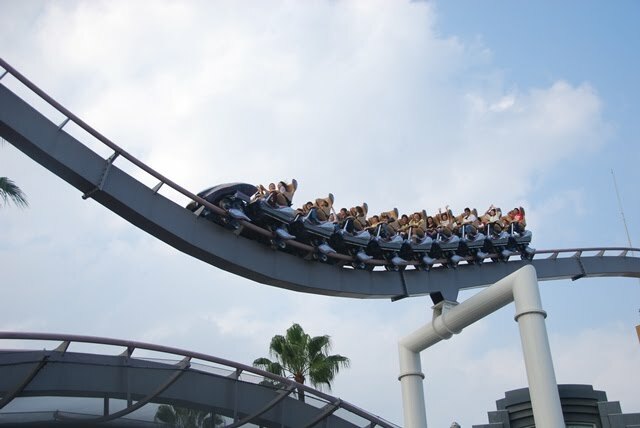 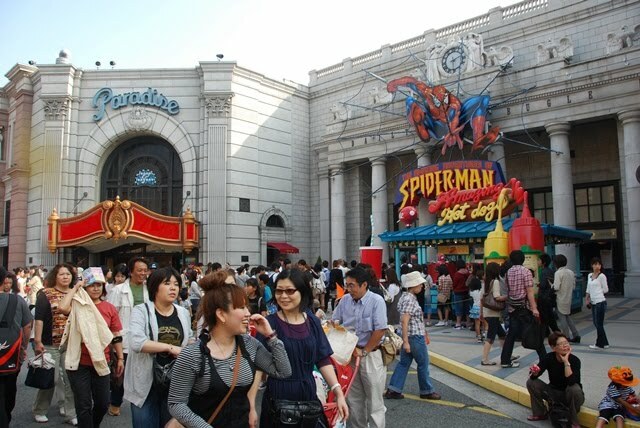 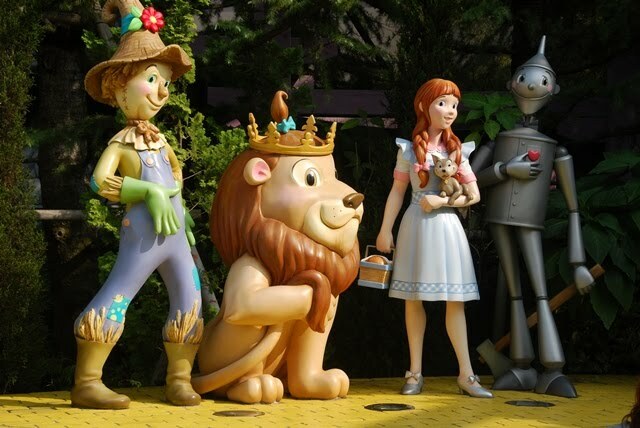 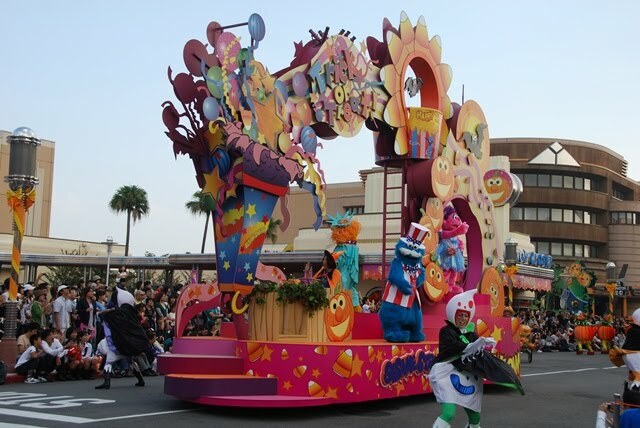 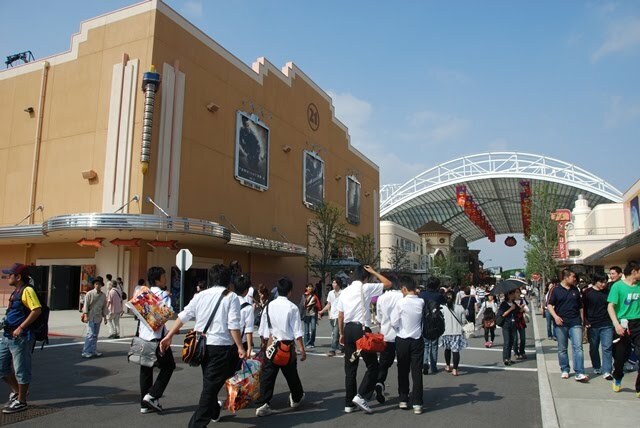 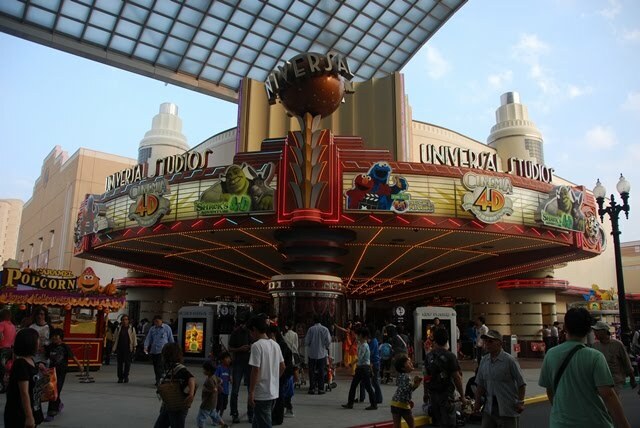 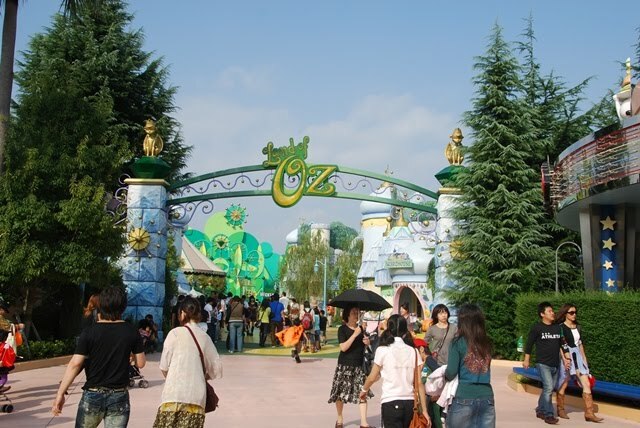 Fairly young, the Universal Studios Japan opened in just in 2001 and is the only Universal Studios in Asia, until the Singapore parks open next year. 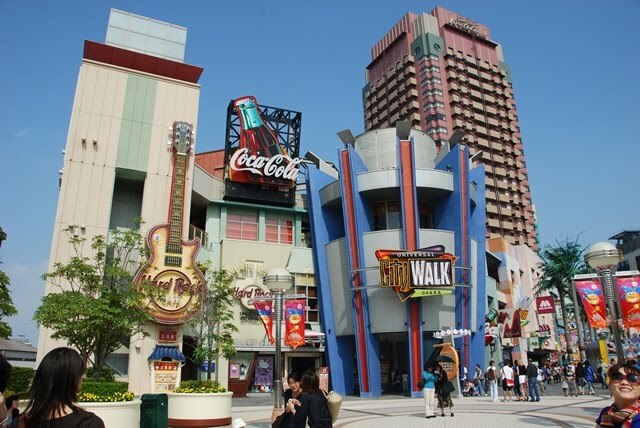 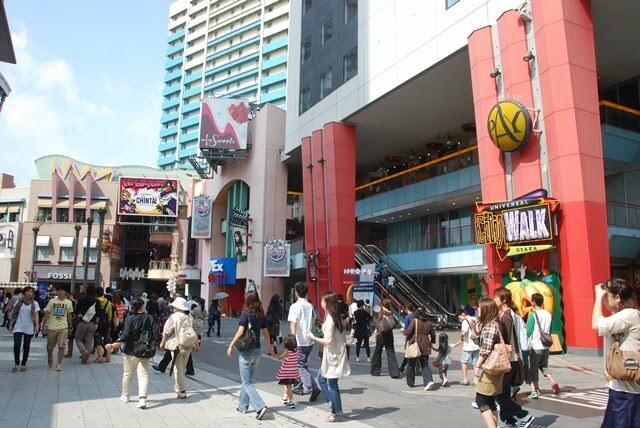 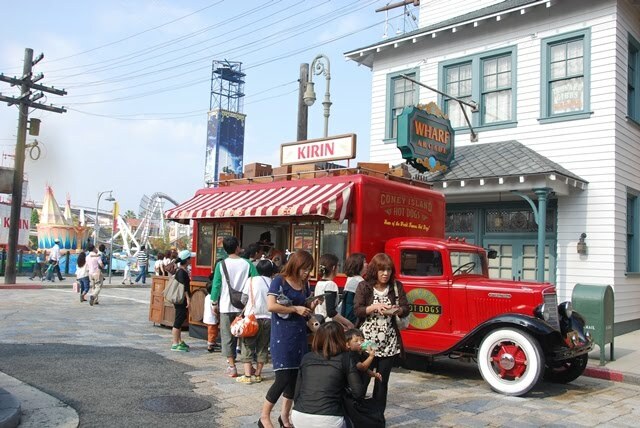 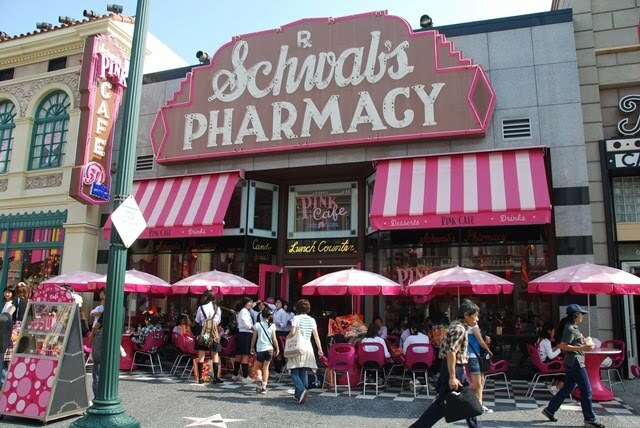 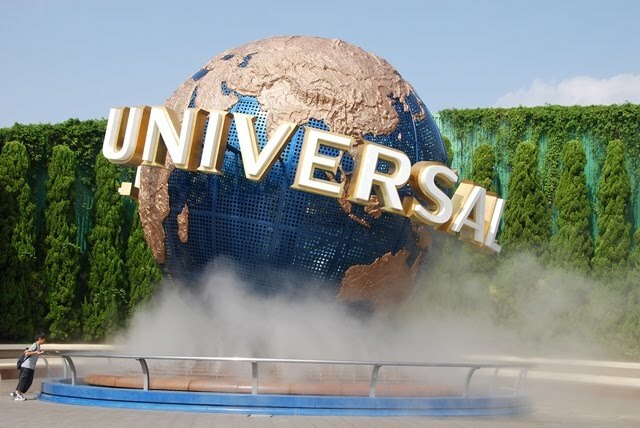 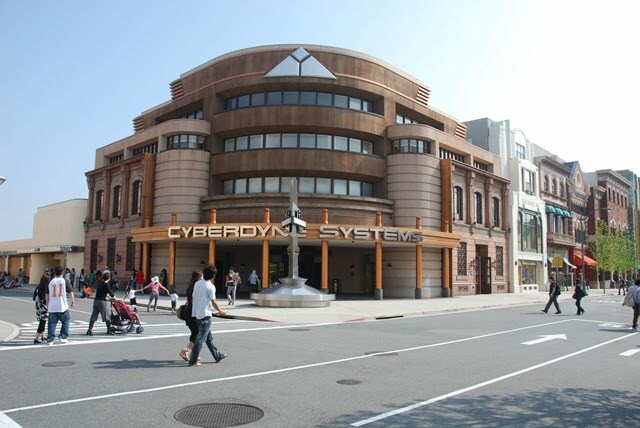 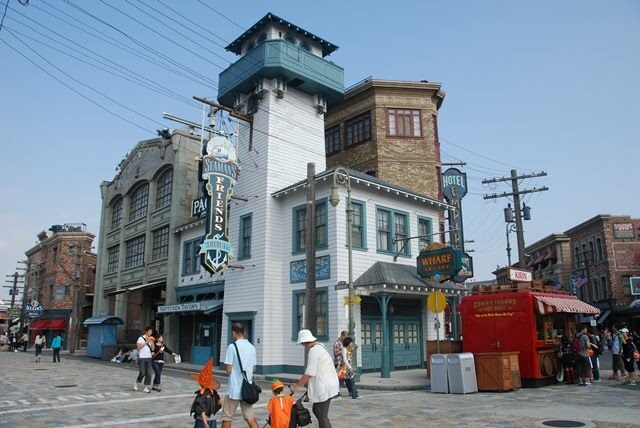 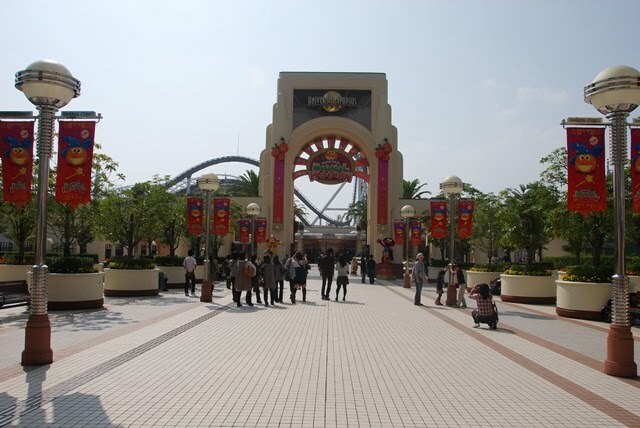 Like the other Universal Studios (Hollywood, Orlando) that has entertainment and retail establishments adjacent to the theme park, visitors will pass by Universal CityWalk Osaka on the way to the park entrance. 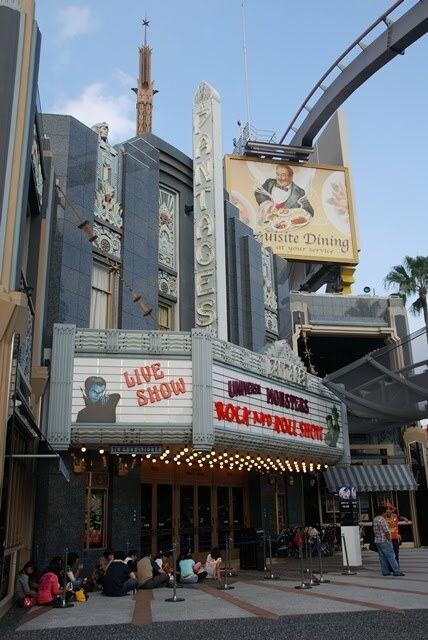 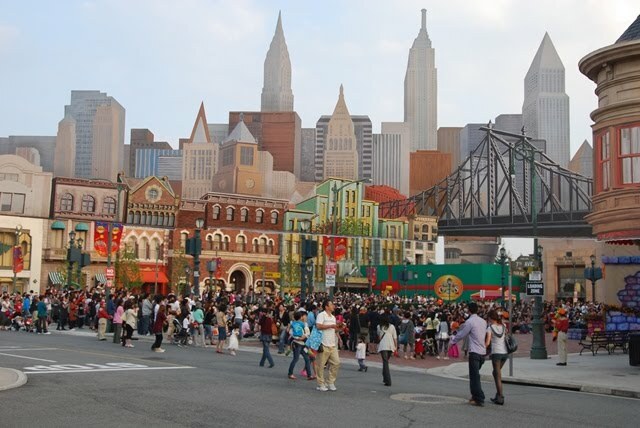 This one is small in scale in comparison with the Universal CityWalk Hollywood. 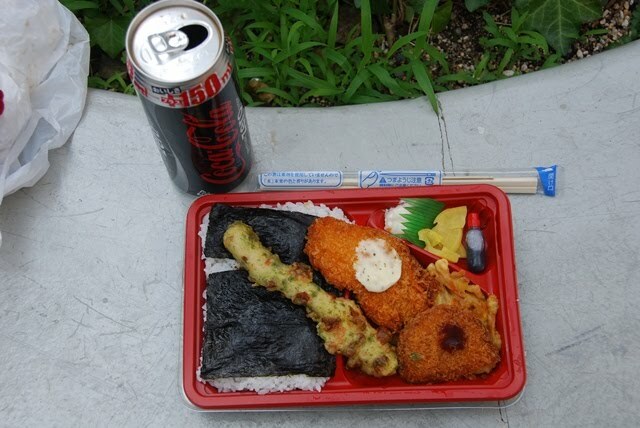 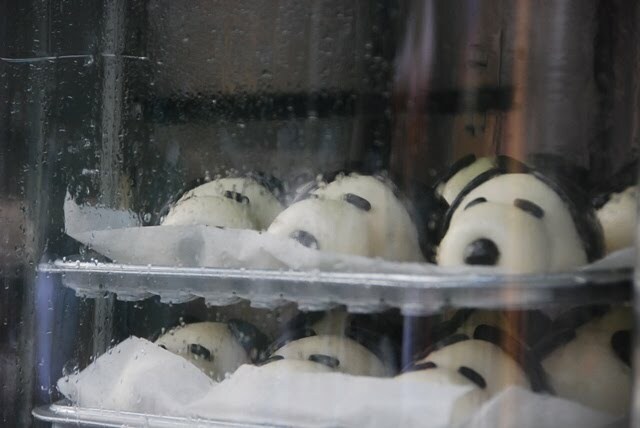 Before I entered the park, I purchased a meal at a convenience store nearby and ate first. 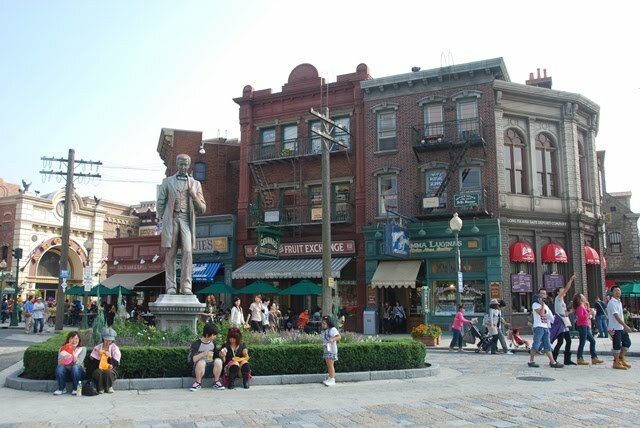 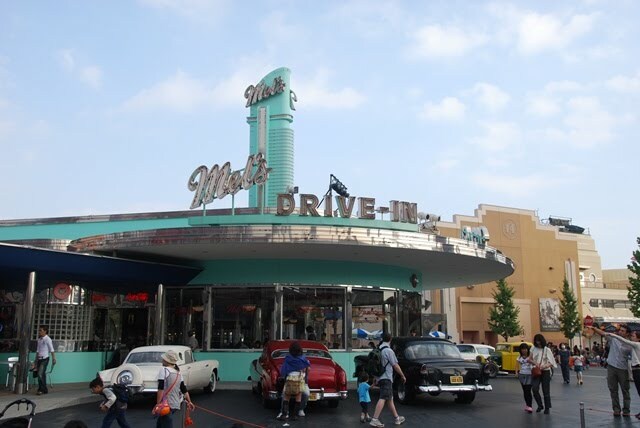 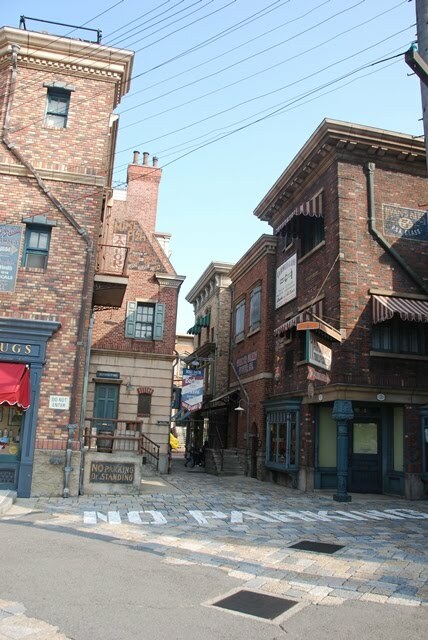 As I entered the park (entrance to the park was JPY5800), I realized that it's not as big as the one in Hollywood (I should have lowered by expectation), and although this park have lots of similarities with it, there are also a number of notable differences. 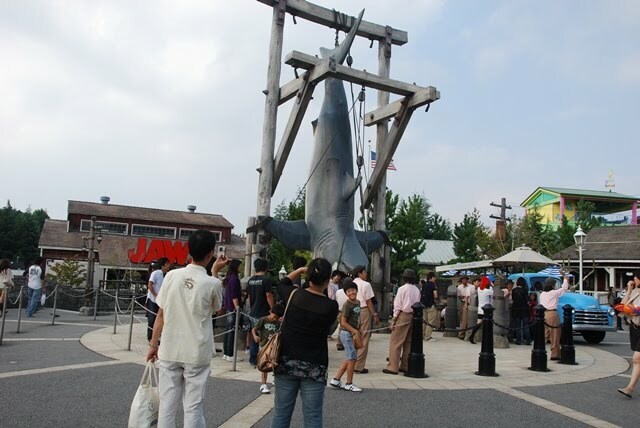 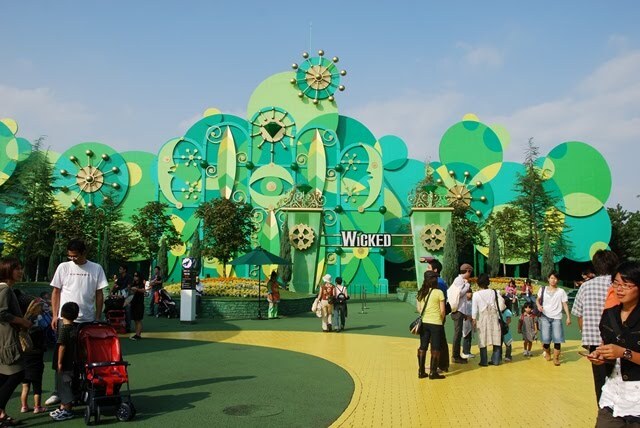 The park is separated into 9 themed areas. 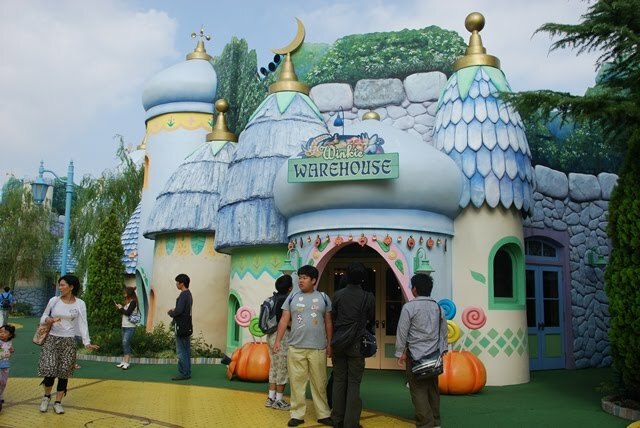 Unique to this theme park is the Snoopy Studios, themed after the famous Peanuts character Snoopy and the gang (Charlie Brown, Woodstock, etc.). 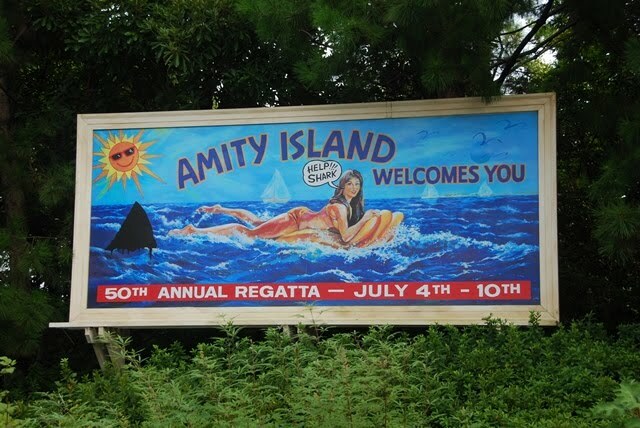 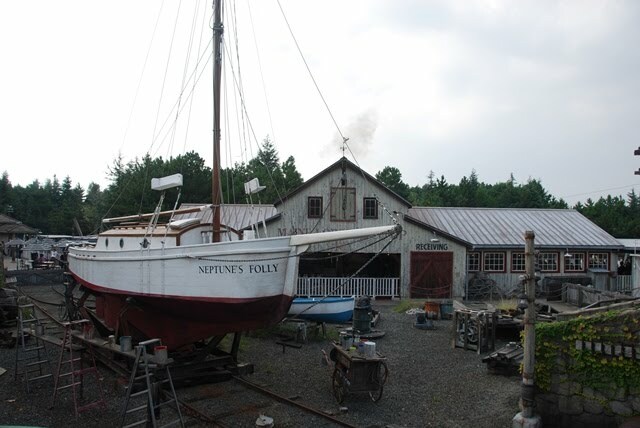 Amity Village, a whole village dedicated to the 1975 Steven Spielberg movie of a shark attack - Jaws. 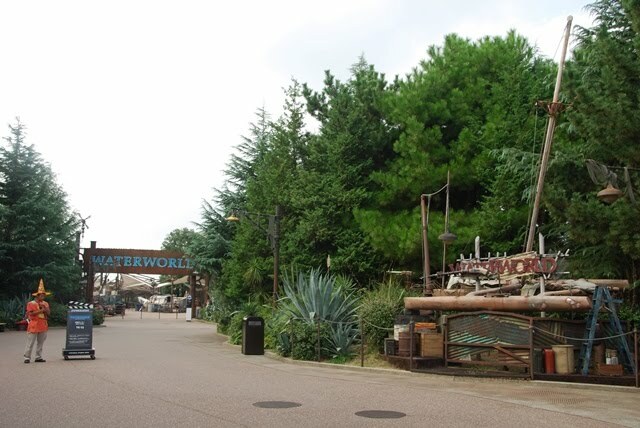 Water World, I have seen this show in Hollywood so I decided to skip it. 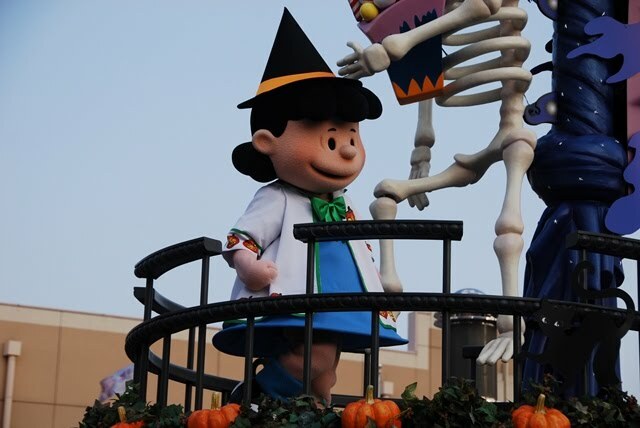 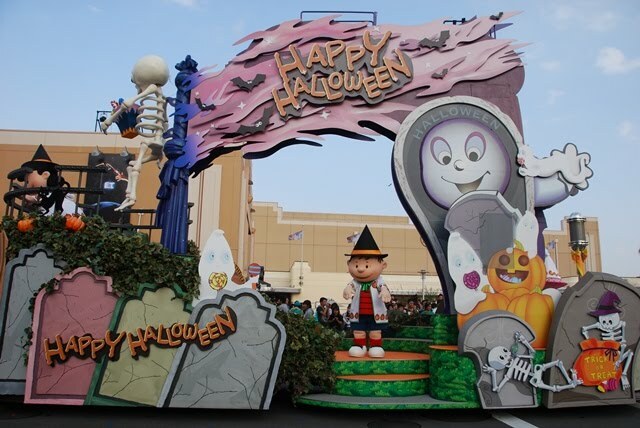 As you noticed in the pictures, the park was decorated with a lot of halloween paraphernalias in time for the Trick and Treat season on early November. 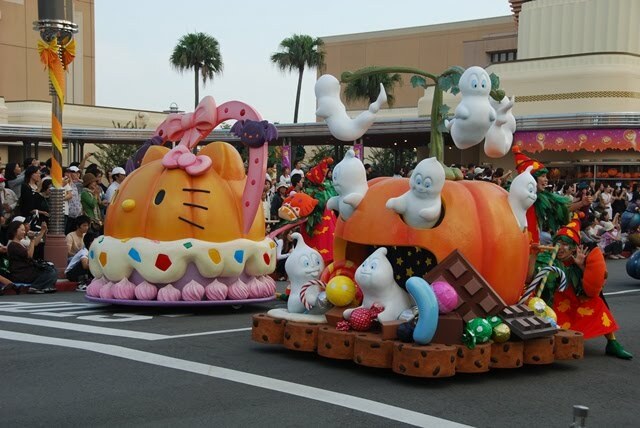 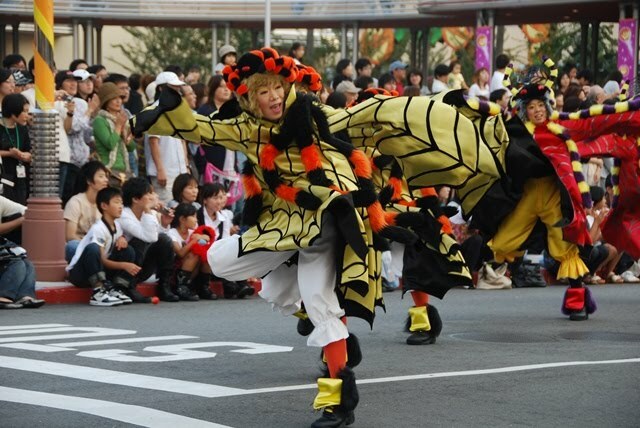 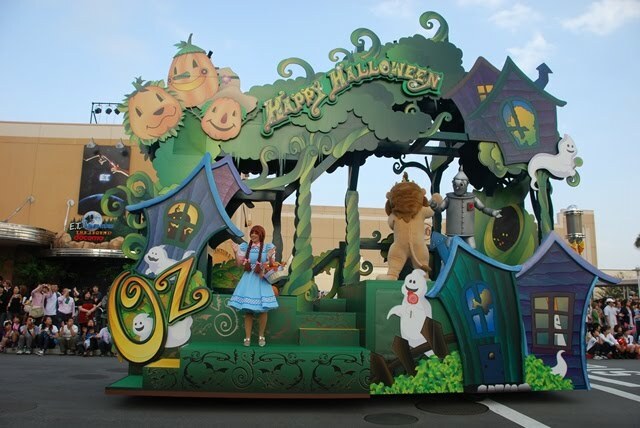 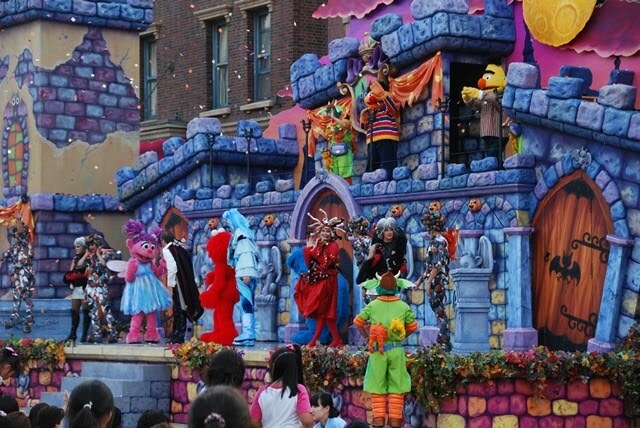 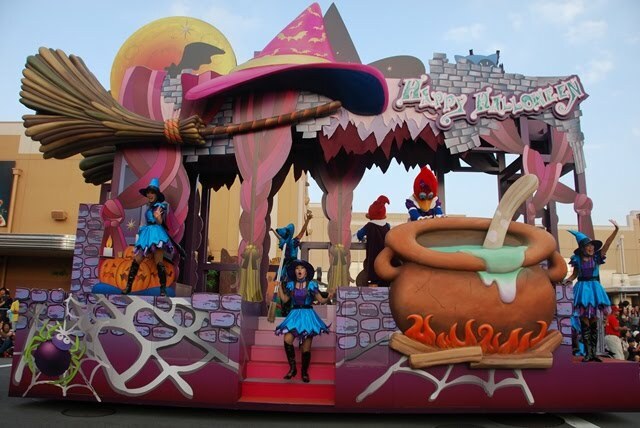 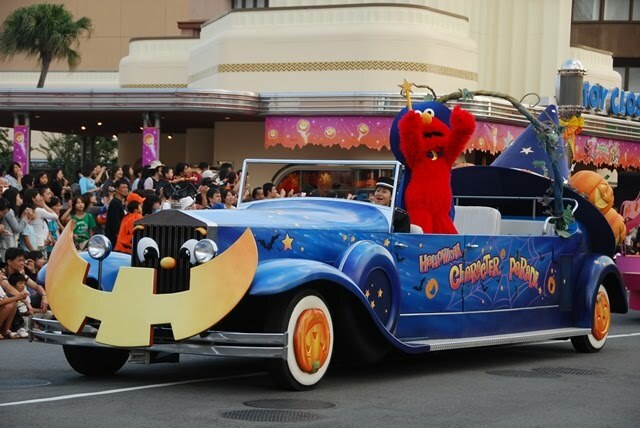 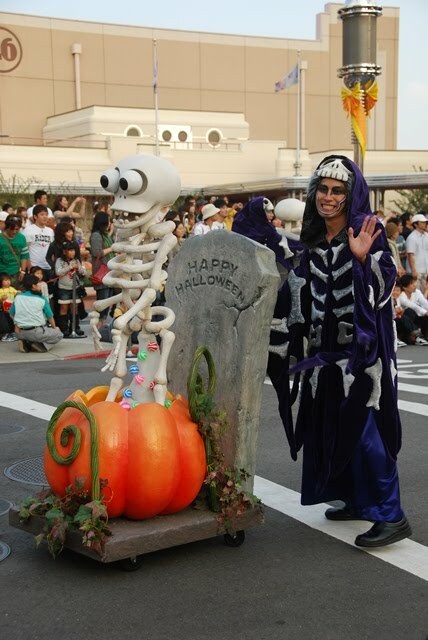 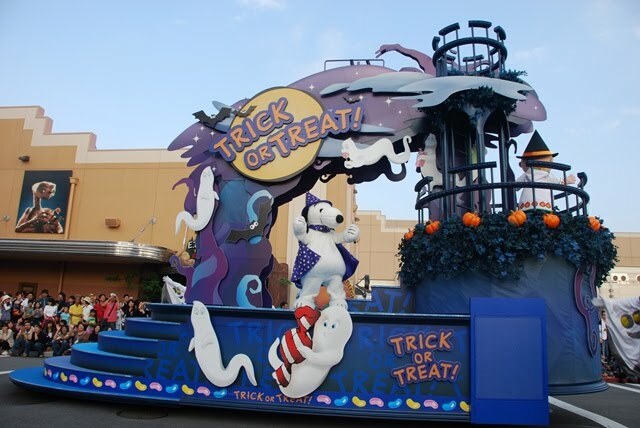 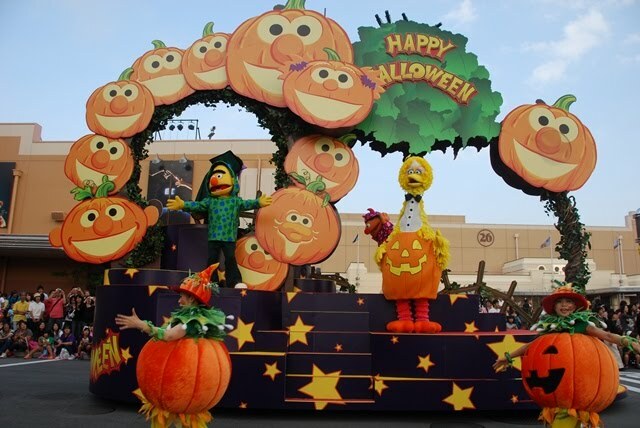 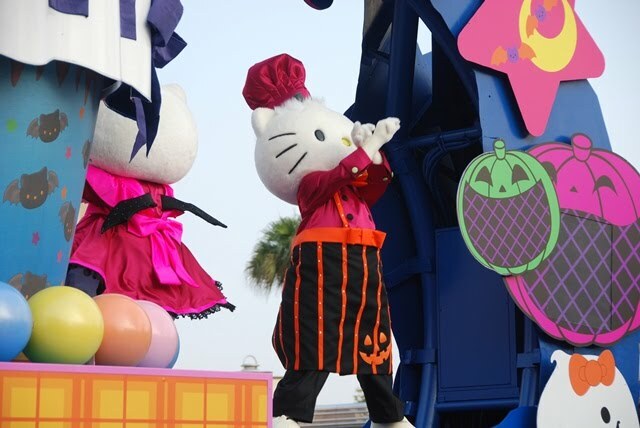 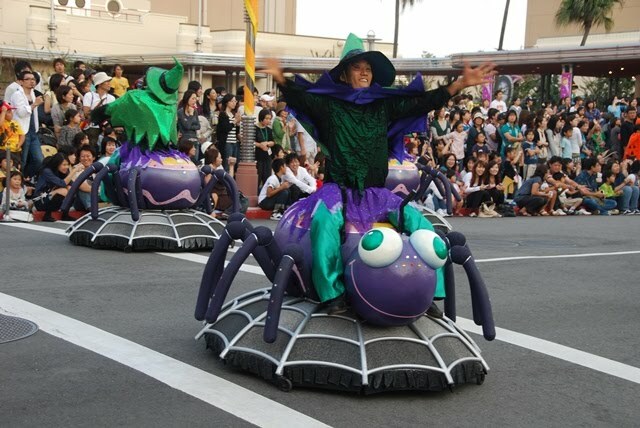 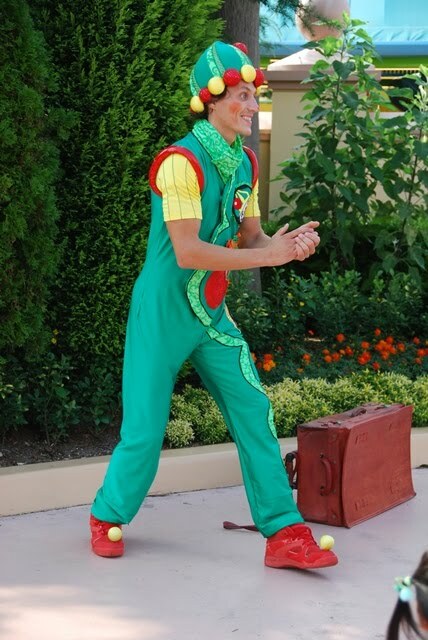 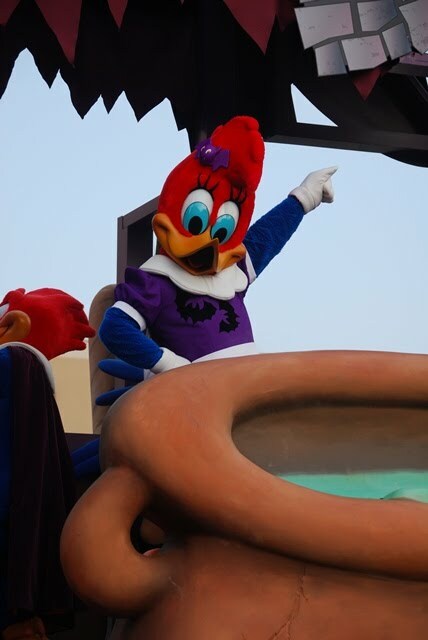 There was also a Halloween Character Parade which I got to see. 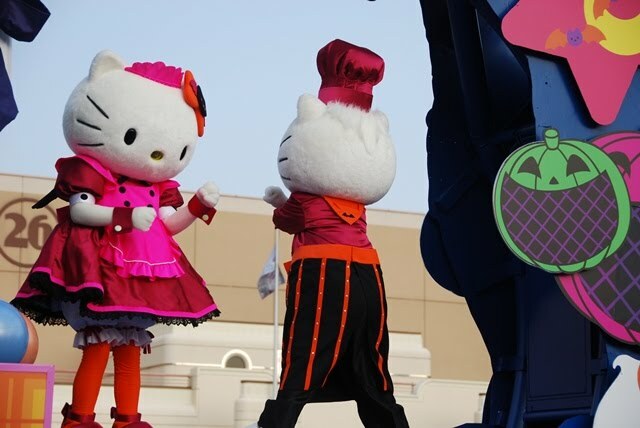 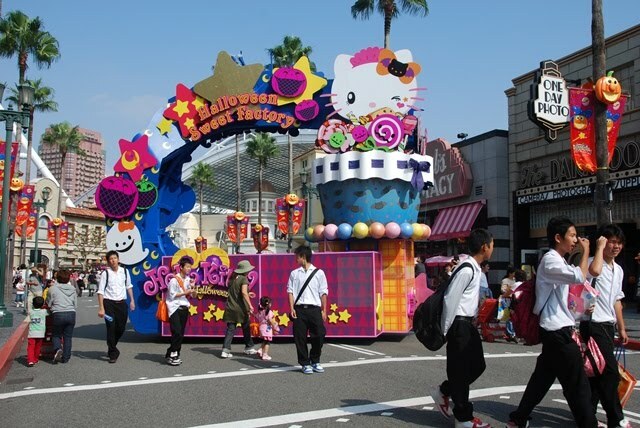 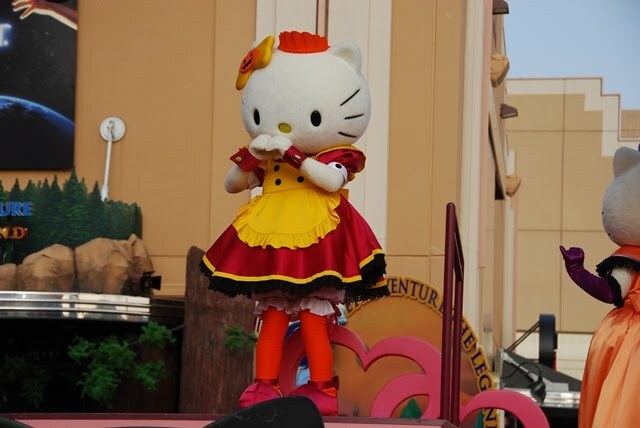 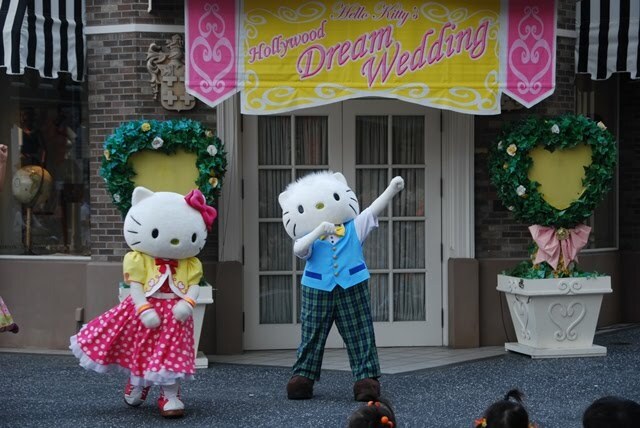 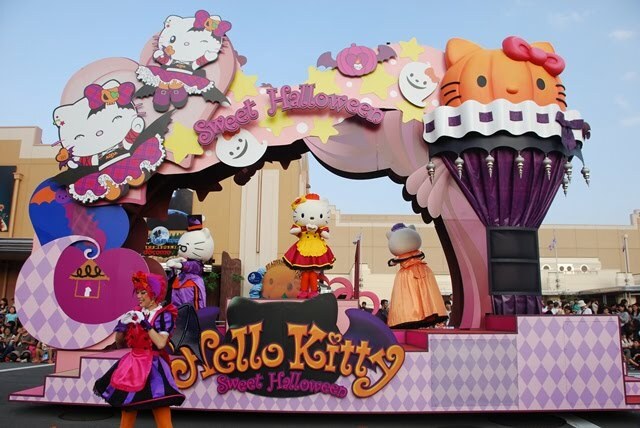 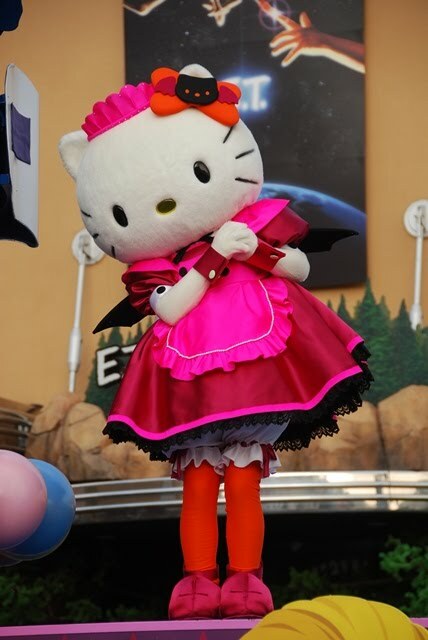 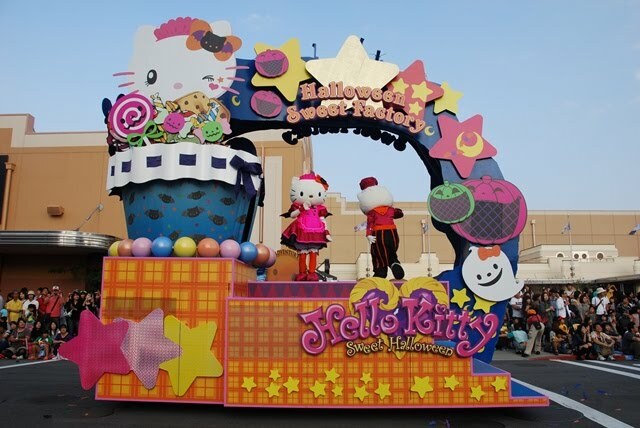 After the parade, I also witnessed the Dream Wedding street show of Hello Kitty. 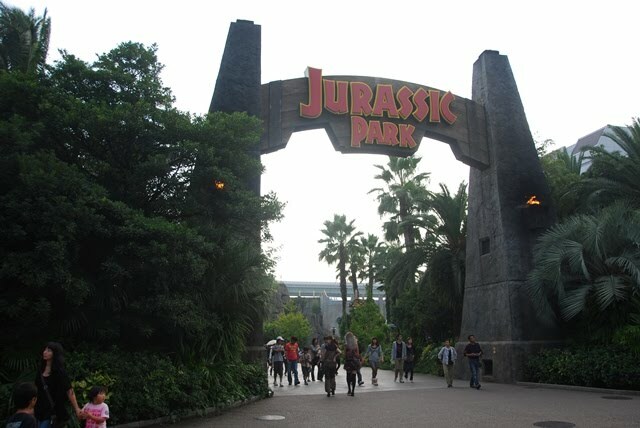 I was happy that I didn't skip the park, other than those I've seen before, there are unique features to the park. 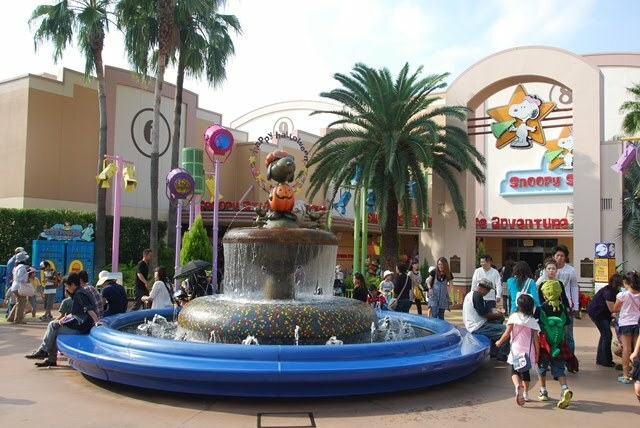 For one Peanuts and Sanrio is not usually part of the Universal brand but was licensed to them in Japan, and it was a great experience. 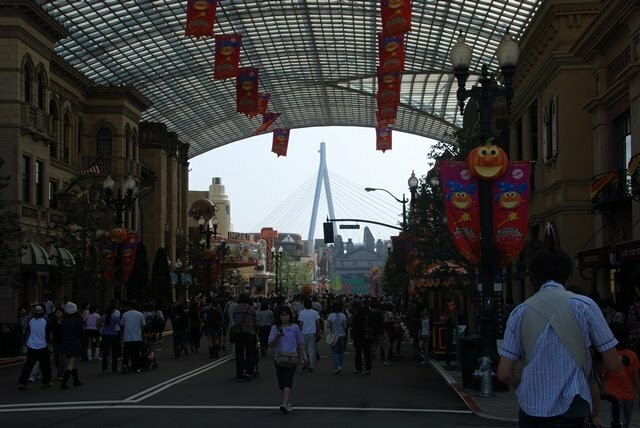 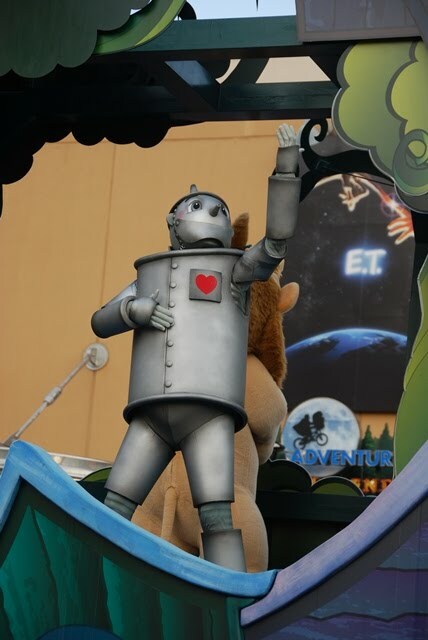 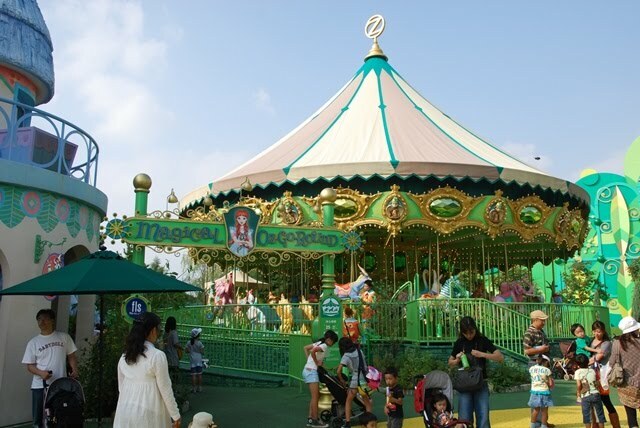 It was hard for me to go to the rides and shows though because everything was dubbed in Japanese. 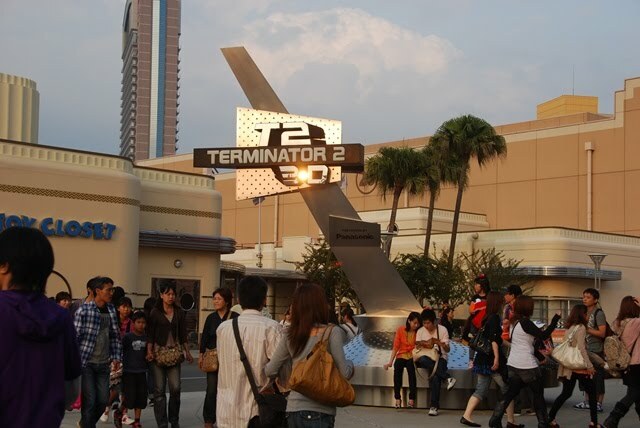 Just imagine Arnold Schwarzenegger talking in Japanese at the Terminator ride! 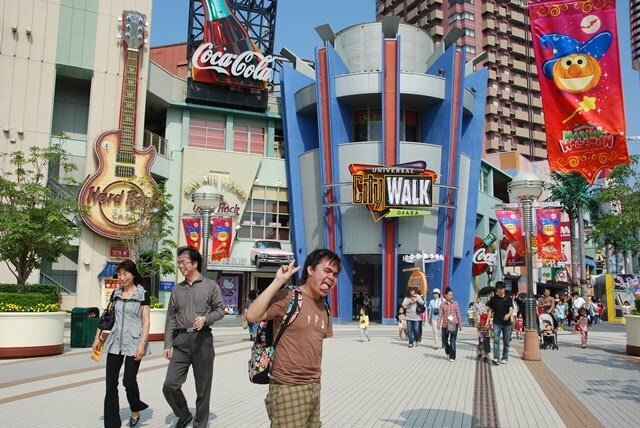 walang subtitle ung shows? 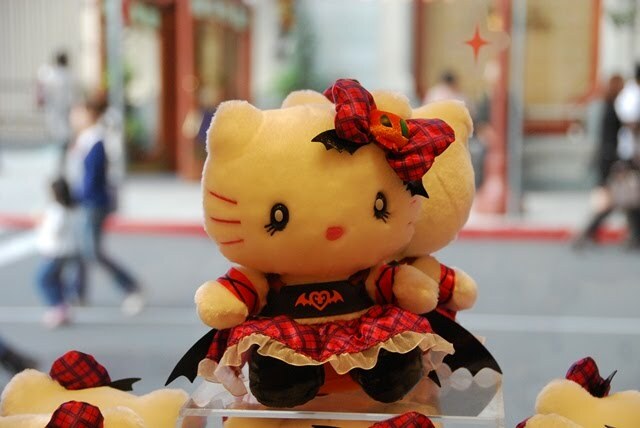 or english version? 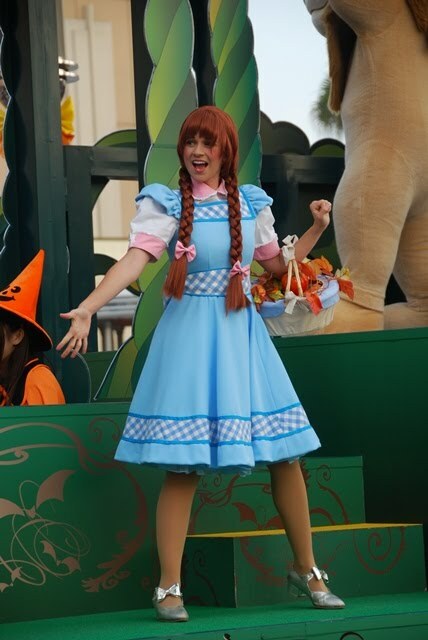 is it just me or mukhang bading ung Dorothy Gale na gumanap, hehe.